We have a large selection of quality real estates. 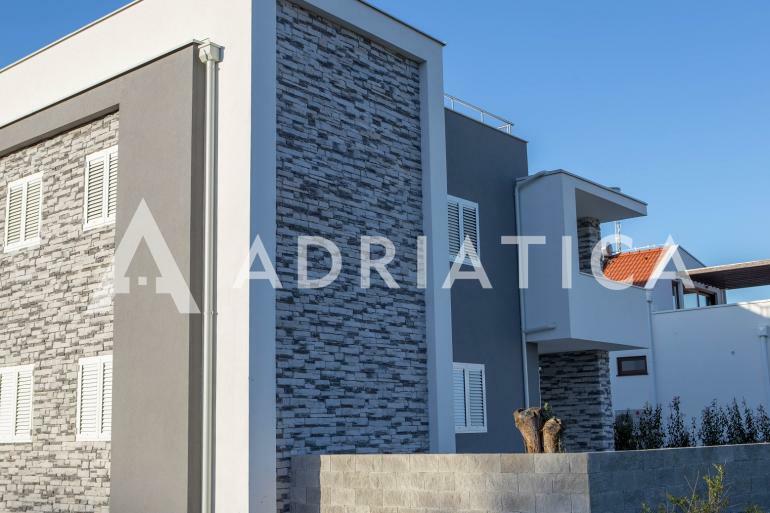 New apartments in an ideal location in Murter! 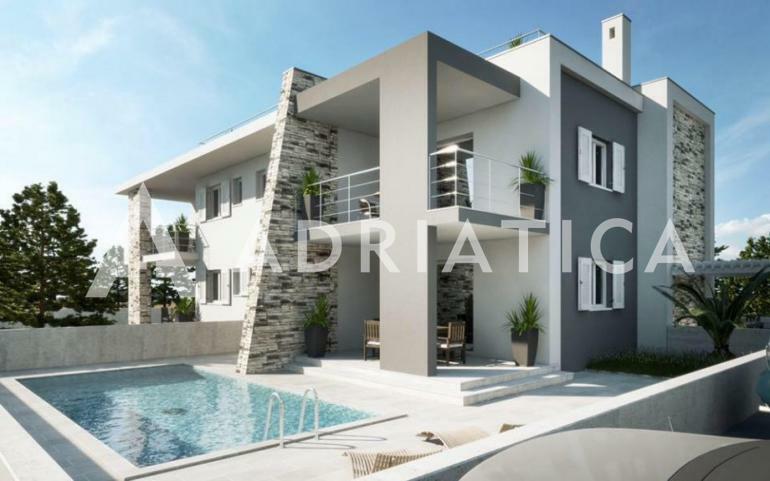 Building with 4 residential units, second row from the sea and only 30 meters from the beach. 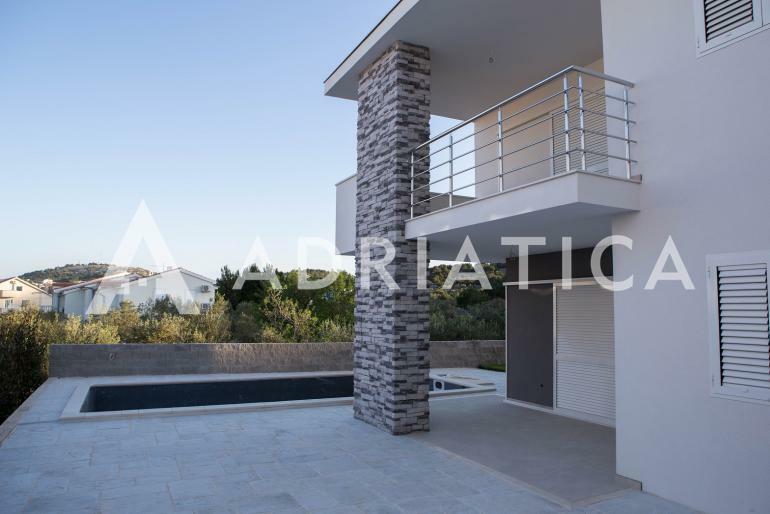 Floor area is 79 m2, and the price is from 180,000 euros. NEW BUILDING!!! 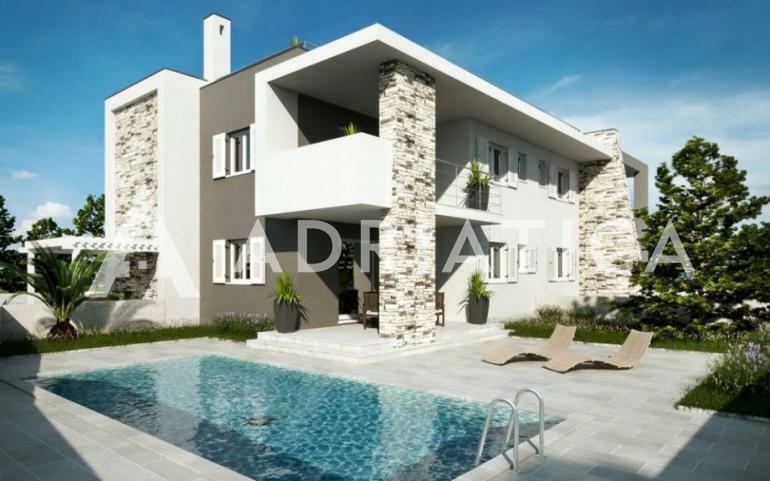 Beautiful apartment with a swimming pool in Murter in special location is for sale. The apartment is located just 30 meters from the sea in a building with 4 apartments. The planned date of moving in is the spring of 2016. 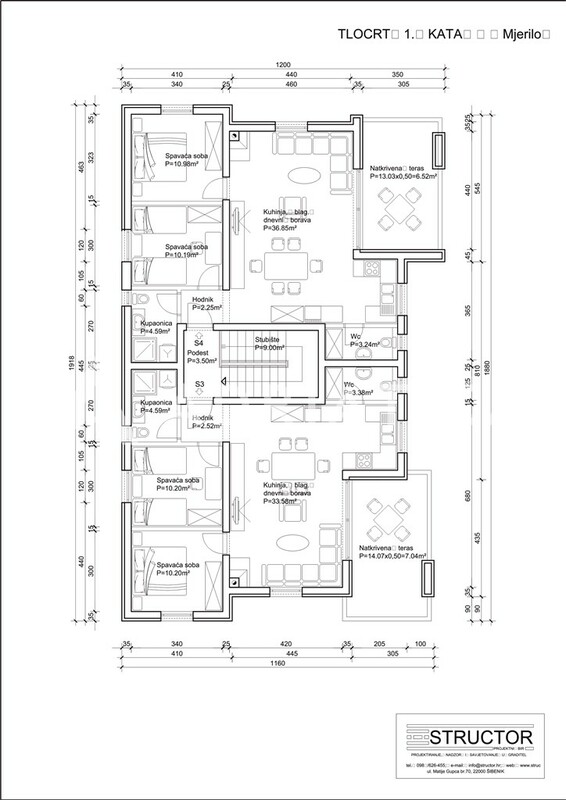 The apartments will be fully furnished (parquet, tiles, installation, furnished bathrooms, air conditioning). With earlier reservation purchaser can participate in interior designing. By purchasing these apartments purchaser is exempt from paying real estate transfer tax. Tax is included in the total price. 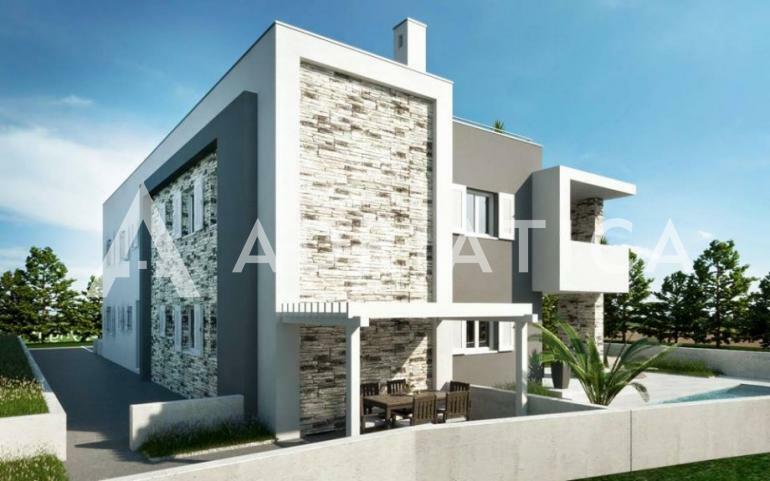 Apartment on the ground floor consists of 2 bedrooms, kitchen, dining room and living room, bathroom, toilet, hall and balcony. The apartment also has swimming pool, courtyard with area of 90 m2, two parking spaces and storage in the basement area 5 m2. 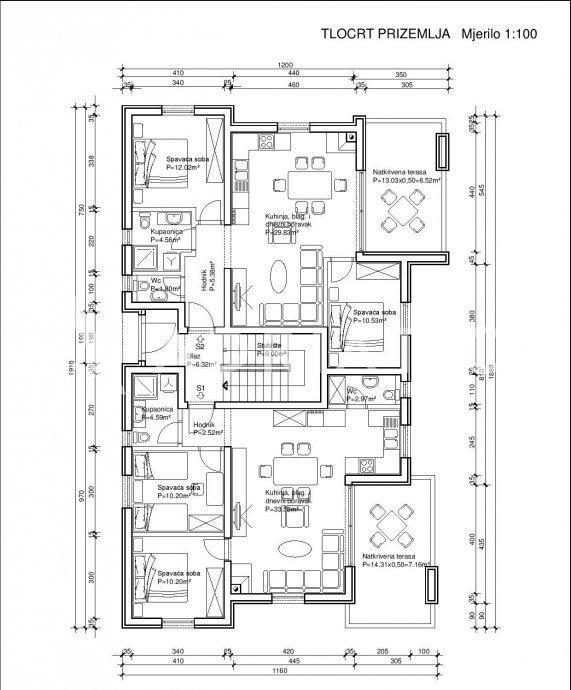 Floor area is 79 m2 and the price is 200.000 euros. 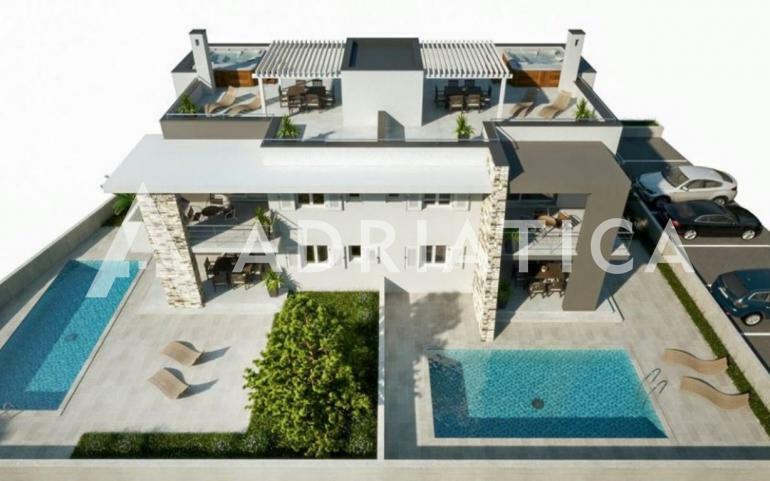 Apartment on the first floor has also cca 80 m2, balcony, 2 bedrooms, kitchen, dining room and living room, bathroom, store room, hall and the roof terrace with pergola, jacuzzi and sea view. 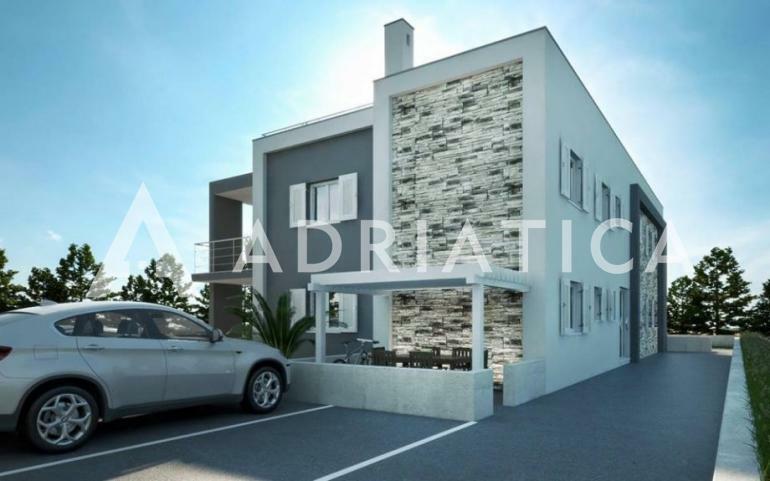 The price of the upper apartment is 180.000 €. 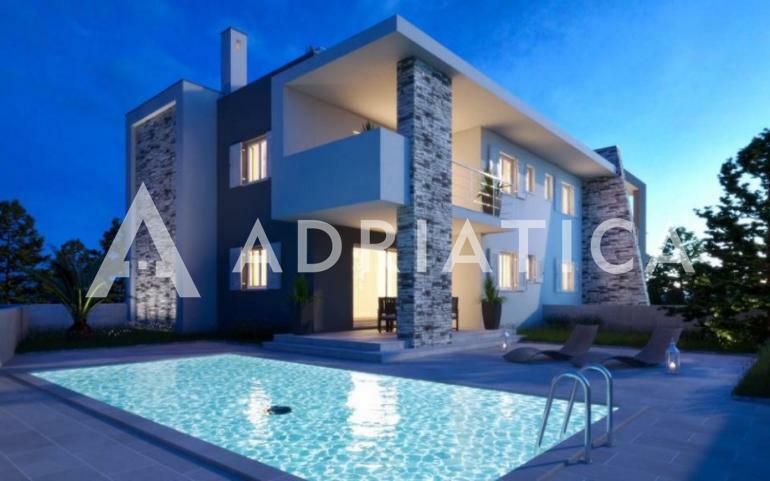 The Real Estate Agency meets all the requirements as stipulated by the Real Estate Brokerage Act (Official Gazette no. 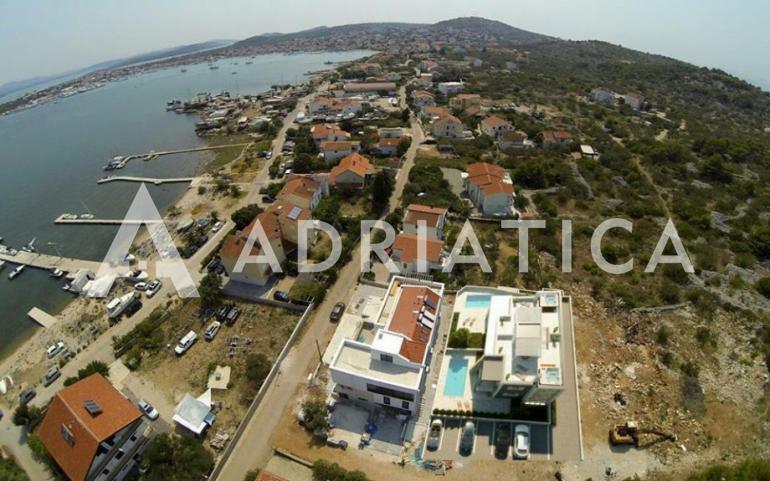 107/2007) and is included in the register of real estate agents run by the Croatian Chamber of Commerce. You will receive our special offers and be notified about new properties. 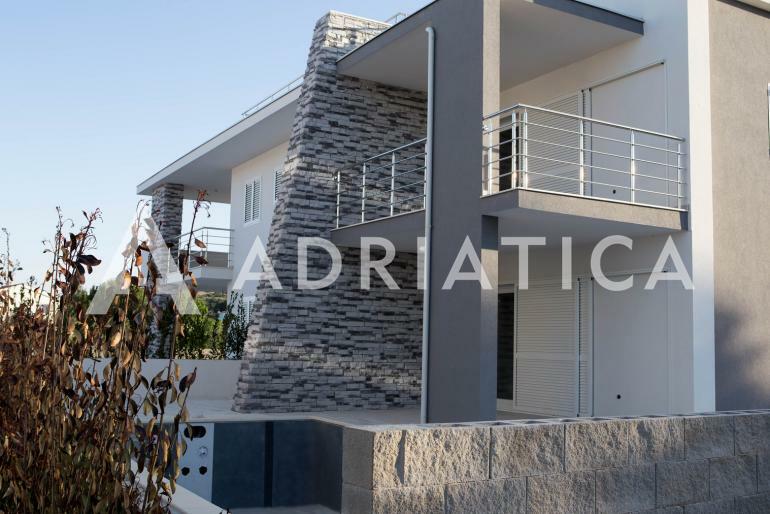 © 2014 - 2019 Adriatica - All rights reserved.